Before we even dive into all the pretty things that Perfect Details Couture Jewelry And Accessories offers, you must know about their limited Badgley Mischka & Benjamin Adams Shoe Sale. Exclusively for Wedding Chick Readers. Enter WC15SHOES for 15% off all regularly priced shoes. 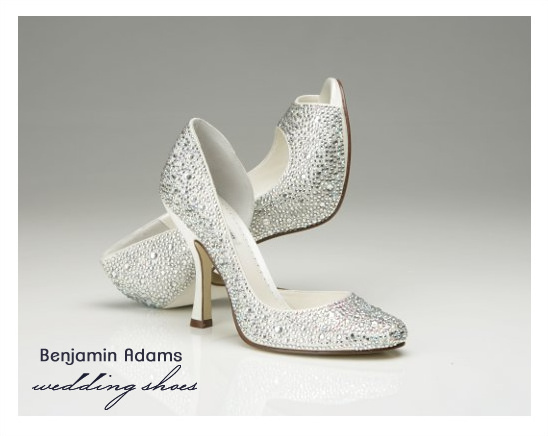 Benjamin Adams has some very elegant bridal shoes adorned with Swarovski encrusted crystals and vintage ornaments. Most styles are fully dye-able in both white and ivory dye-able silk satin. Hurry up and get your bridal shoes before the sale ends this Tuesday 6/19 at midnight. We know that you love to accessorize your bridal look with fantastic accessories including- evening bags, gloves, lacey shawls, faux furs…and don’t forget the garter! At Perfect Details they offer all this and so so much more. It is a wedding accessory bonanza, offering a wide range of tasteful and elegant pieces that will go with any bridal look and feel. You’ll love their selection of exquisite wedding jewelry and hair adornments by top designers like Sara Gabriel and Erin Cole. Perfect Details also features pieces by celebrity stylist and Jewelry Diva Margaret Rowe, whose vintage aesthetic radiates Old Hollywood glamor. You will love designer Laura Jayne who makes such pretty flowers to enhance your wedding day hairstyle! Above are a few of the noteworthy pieces we found while perusing Perfect Details. 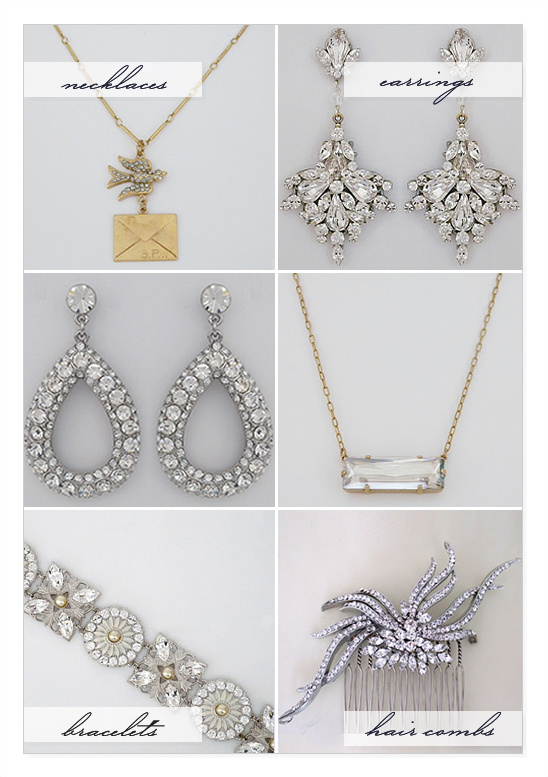 Listed from left to right Bird & Letter Necklace | Large Fan Drop Chandelier Earrings | Crystal Encrusted Hoop Earrings | Rectangular Crystal Pendant | Wren & Sparrow Bracelet, Silver | Crystal Ribbon Comb. 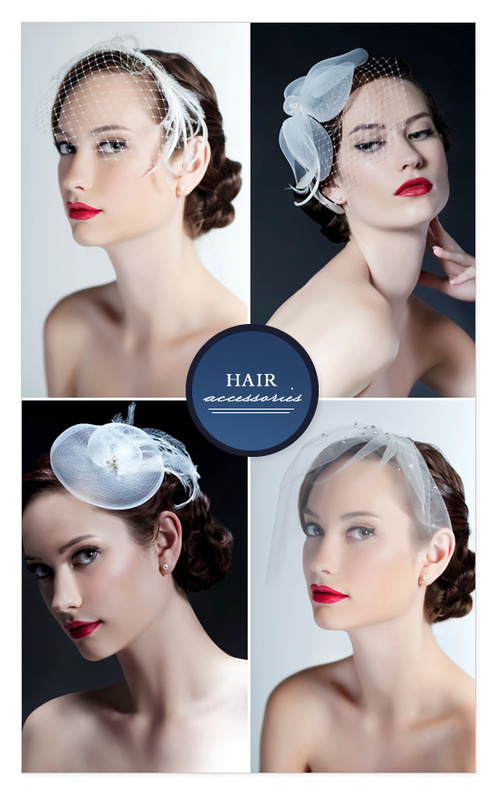 You can see all the fancy hair pieces by clicking here. There is endless amounts of pretty and we guarantee you are going to find a ton of things that you love.